It gives me great pleasure to welcome you to our school website. At Kingshill we pride ourselves on being friendly, warm and welcoming. I hope you find the website useful and invite you to visit at any time to see us in action! We believe in learning without limits. In our school we enjoy and celebrate inspiring, inclusive and life-long learning.We are an open, encouraging community sharing Christian values especially love and respect.We value friendship built on honesty, trust and acceptance in a caring environment. We uphold the fundamental values of democracy, the rule of law, individual liberty and mutual respect and tolerance of those with different faiths and beliefs. Our school life is underpinned by the Christian Values of Wisdom, Reverence, Compassion, Hope, Peace, Justice, Friendship, Fellowship, Service, Forgiveness, Trust, Thankfulness, Humility, Endurance and Creation. 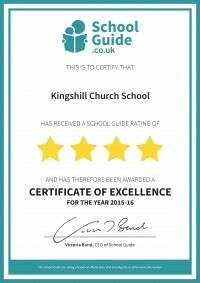 Kingshill Church School is a small primary school (ages4-11) on a large site on the northern edge of Nailsea and we belong to the Bath and Wells Multi Academy Trust. We enjoy very close links with our partner church, Christ Church in Nailsea, which makes an active contribution to the work of the school. We believe that happy learners are effective learners and that we can achieve this by creating a stimulating learning environment and encouraging inquiring and enthusiastic learners.Our children are encouraged to embrace our ever-changing world with confidence, courage and creativity. They are encouraged to respect and care for themselves and others and are encouraged to challenge themselves academically, physically and spiritually and to have a sense of their belonging to our local community and to global communities.The school is strengthened by the commitment of our active parent body. 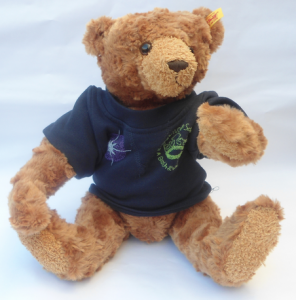 Our Kingshill Friends’ Association is extremely successful and has supported the school in a practical way by raising funds and holding events for our children and their families. 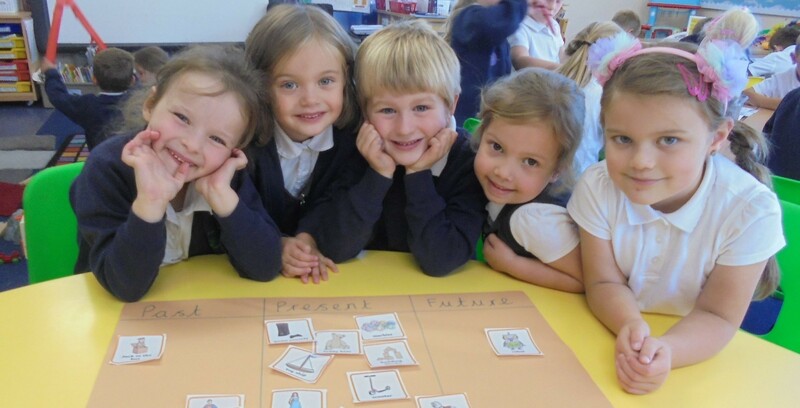 Our school has been described as welcoming and friendly. We pride ourselves on building effective working relationships with our children, our parents and our community. Visitors are impressed with the calm and purposeful atmosphere around the school, the politeness of our children and the helpfulness of our staff. Within our Christian context, we aim to serve our children to the very best of our ability, promoting Christian values, tolerance and a zest for life.